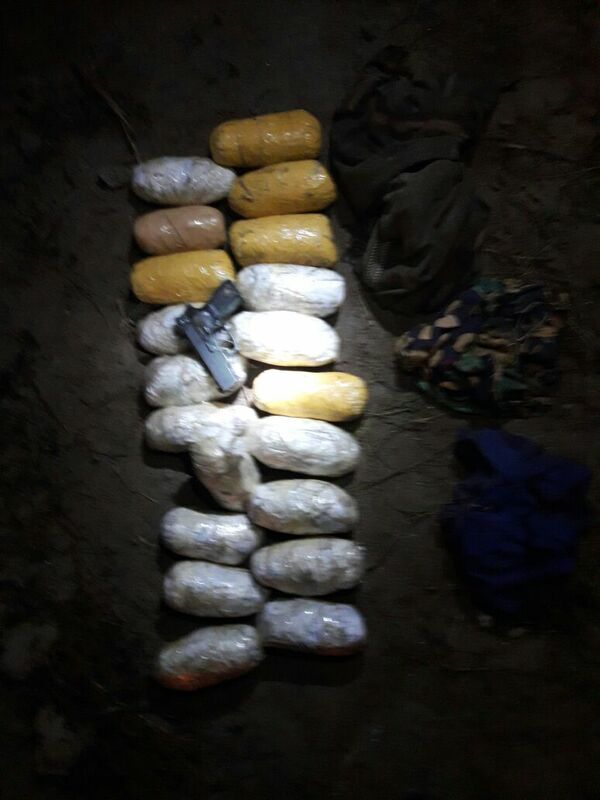 Chandigarh, Nov 18: In a joint operation, Border Security Forces (BSF) troopers and the Punjab Police have recovered 22kg of heroin in Punjab's Ferozepur sector following exchange of fire with Pakistani smugglers near the international border, a BSF officer said on Saturday. The encounter took place late on Friday following a tip-off that smugglers were trying to send heroin consignment into India. At least one Pakistani smuggler was injured in the exchange of fire as blood stains were found during search of the area on Saturday, BSF officer D.S. Rajpurohit said. The BSF recovered a pistol and one Pakistani Sim card. The BSF also arrested three Indian smugglers who were waiting close to the border fence to collect the heroin consignment. The smugglers were trying to smuggle the heroin consignment using a plastic pipe across the border fence. The heroin is worth nearly Rs 110 crore in the international market. The Ferozepur border is around 275 km from here.